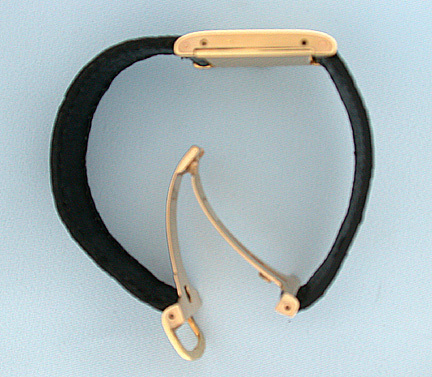 Fine and early Cartier 18K gold vintage tank watch with deployant buckle circa 1930. 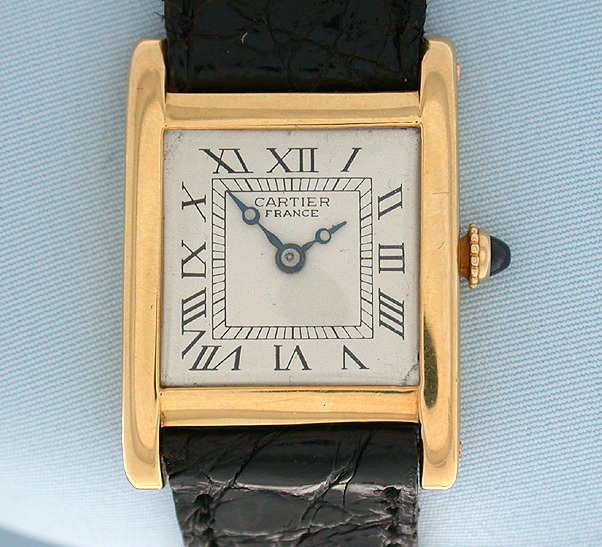 Original silver dial signed "Cartier, Paris." Case #23280 and movement #31,547, both signed "European Watch & Clock Co., Inc." Rhodium 18 jewel 8 adjustment movement.